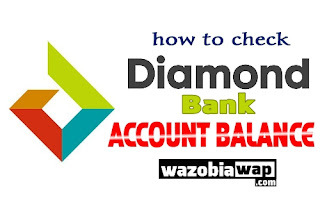 If you are looking for how to check your Diamond Bank Account Balance on Phone using USSD code without data connection. This is the right article for you. Diamond Bank introduced a feature service called Diamond Care. This feature service allows you to carry out many transactions like checking your account balance on phone using USSD code without going to the bank or ATM machine. 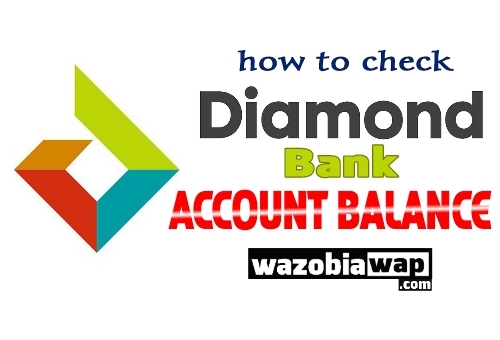 If you want to check Diamond Bank account balance with USSD code, navigate to phone’s dialer, then dial *710*556*4-DIGIT-PIN# and send. If the pin is correct, the next screen will display your account balance. If the above code did not work for you that means you're not a Diamond Yello Customer. All you have to do is to follow the below steps. First. You have to get your ATM card numbers. After changing the code, your account balance for the account linked to your card will be announced to you. Alternatively, You can also request for your account balance to be sent to your registered phone number instantly via SMS by following the voice prompt. NOTE: You must use the SIM or the phone number you registered with Diamond Bank that is linked to your bank account for a successful transaction. If you don't have your Self Service code just dial 0700-300-0000 and press 0 to speak with a Service Consultant. Your self service code will be sent to you. Make sure you keep your self service code safe for security reasons.